Hyundai and Kia announced the commercialization of autonomous vehicles by 2021 and the full-scale production of autonomous vehicles by 2030. 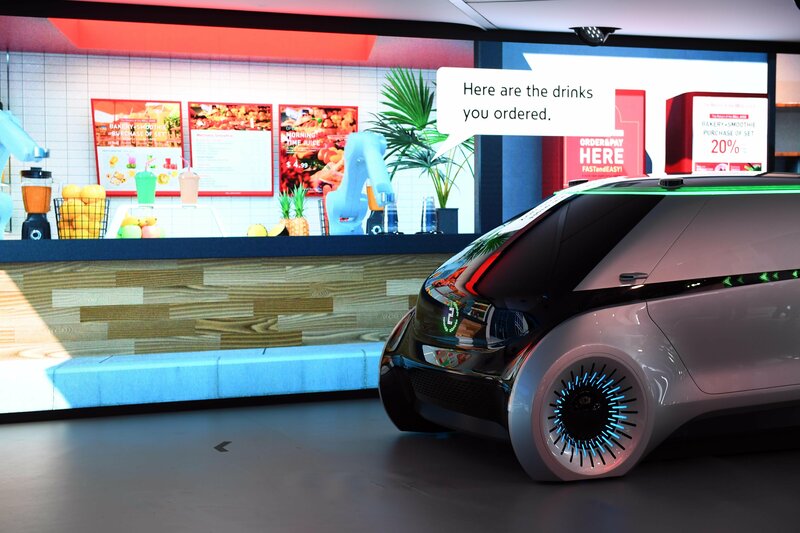 Yet, in a video about the future of electric and autonomous vehicles it published only days ago, Hyundai and Kia graphically showcased the features of the inductive charge system and proposed an autonomous valet service for its cars. The technology will land on Hyundai-Kia cars in the future, but it won’t reach mass production until electric vehicles reach Level 4 of autonomy. According to projections, this will happen around 2025. 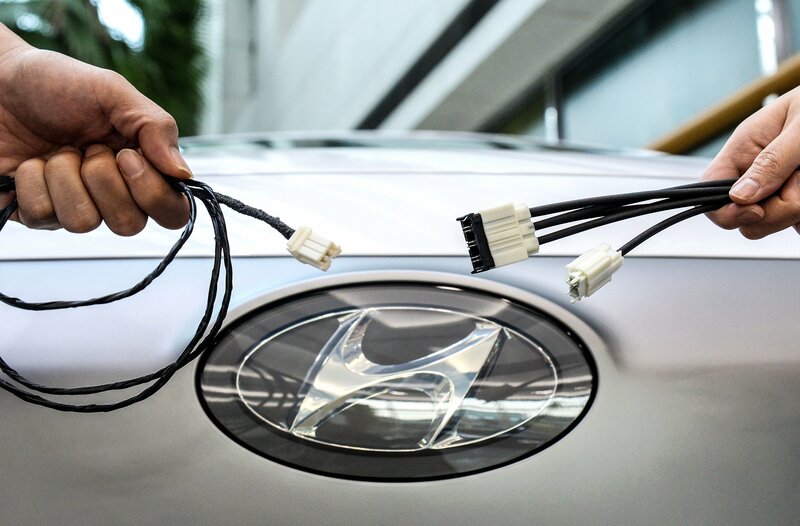 Nevertheless, the system Hyundai-Kia proposes could noticeably improve the efficiency of the charge ports by automatically controlling the vehicles after the charge is complete. In short, the vehicles will move to a free parking spot after the recharge process. Furthermore, the technology will probably solve the problem of jams in parking locations. Toyota seems to be on a roll at CES. The company showcased its technology called ‘Guardian’ a couple of days back, and now, it has unveiled the TRI-P4 automated driving test vehicle. 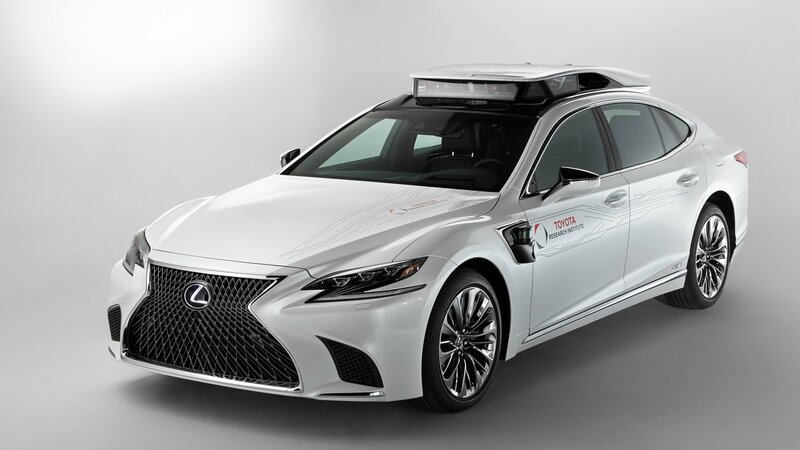 The P4 is based on the all-new fifth-generation Lexus LS 500h and will be used in Toyota Research Institute’s Guardian and Chauffeur automated driving system development. that could create a more pleasurable environment inside our cars. There’s no word yet on whether Harman plans to put this new tech to market. The Nissan Leaf set quite a few benchmarks since its introduction in 2010, but its poor mileage prevented it from becoming a really big hit. 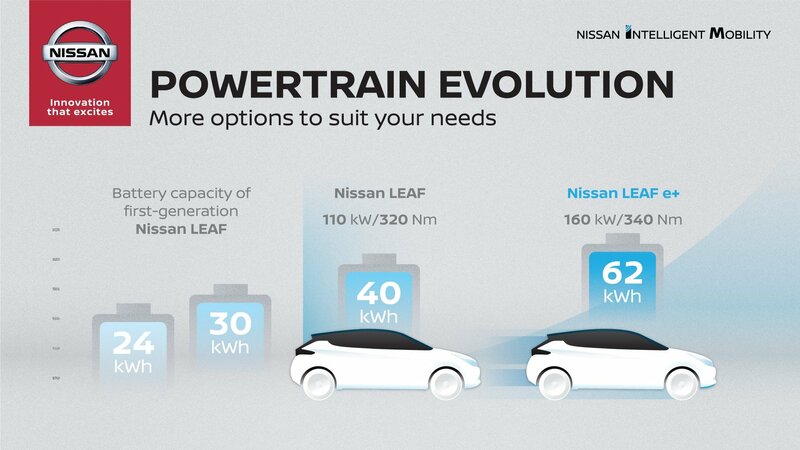 The second-gen model arrived with notably more miles per charge, but the Leaf remained inferior to most of its rivals. Come 2019, and the Leaf e+ broke cover at the Consumer Electronics Show with a bigger battery and improved range. Every automaker is working towards road and vehicular safety in some way or another. 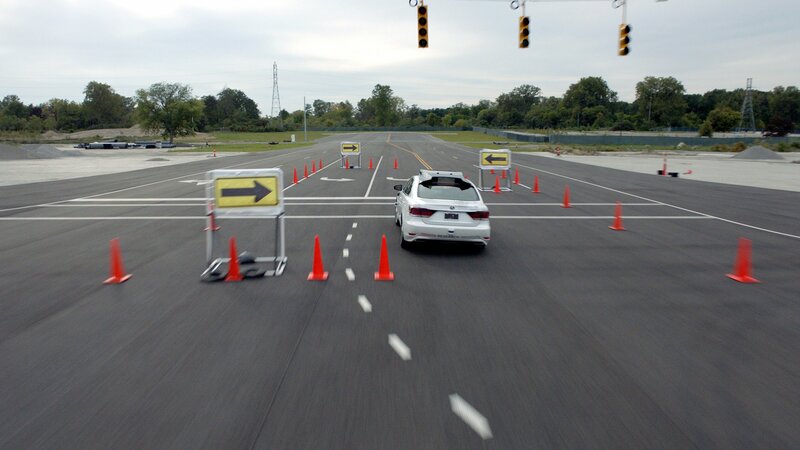 While most of them are doing it through autonomous technology, Toyota Research Institute had a breakthrough last year to fulfill its moral obligation towards road safety. In a nutshell, the technology, called “Guardian,” coordinates the skills of the human driver and the vehicle they’re driving. What’s even better is that Toyota intends to share this with other automakers as well. Rather than pulling the sheets at a traditional car show like Detroit, Merc decided to drop its new CLA Class in Vegas at the 2019 Consumer Electronics Show, debuting the new fun-loving compact alongside a host of fresh interior tech that’s sure to grab some eyeballs at the gadget-laden event. Toyota’s Mobility Foundation, in partnership with Nesta’s Challenge Prize Centre, has unveiled the five finalists of its Mobility Unlimited Challenge. The contest was created to recognize the best new designs that help improve the lives of people with lower-limb paralysis or paraplegia. In the end, five finalists were chosen, including an Italian design house that we know more for its exotic performance car designs. Of the five finalists, two developed exoskeleton designs while another created a concept for the purpose of cultivating the electric wheelchair equivalent of a bike-sharing scheme. All five finalists received $500,000 from Toyota for making it this far in the competition. The winning designer, which will be announced in 2020, will also receive an additional $1 million for taking the competition. The 2019 Consumer Electronics Show is just around the corner, and with it arrives a series of new debuts from the major automakers. The latest comes from Mercedes, which just dropped a short teaser video for its new second-generation CLA Class. The official details are light as of this writing, but there’s a good chance this updated four-door coupe will be rocking some serious technological firepower. 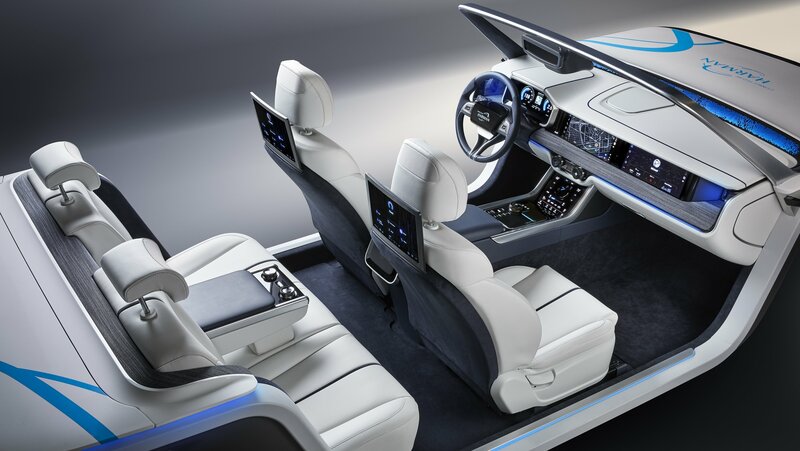 The 2019 Consumer Electronics Show (CES) is just around the corner, and it comes as no surprise that the latest and greatest forward-thinking car concepts are just now trickling across our collective desks. 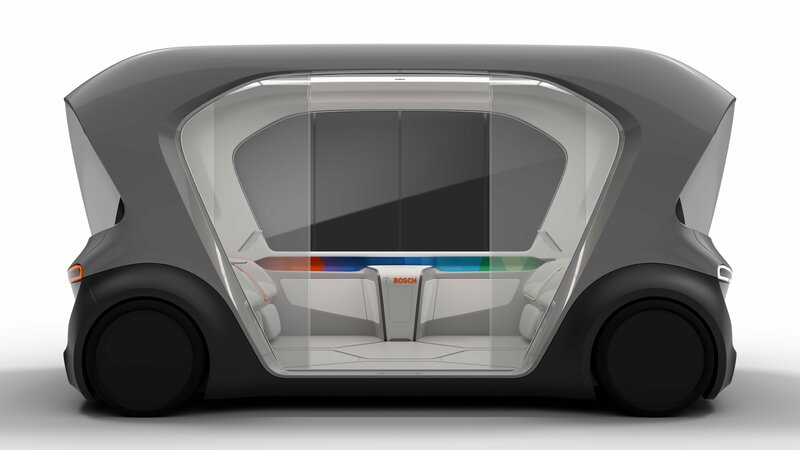 The latest comes from Bosch, with this odd-looking all-electric, fully autonomous shuttle that promises big things for the future. 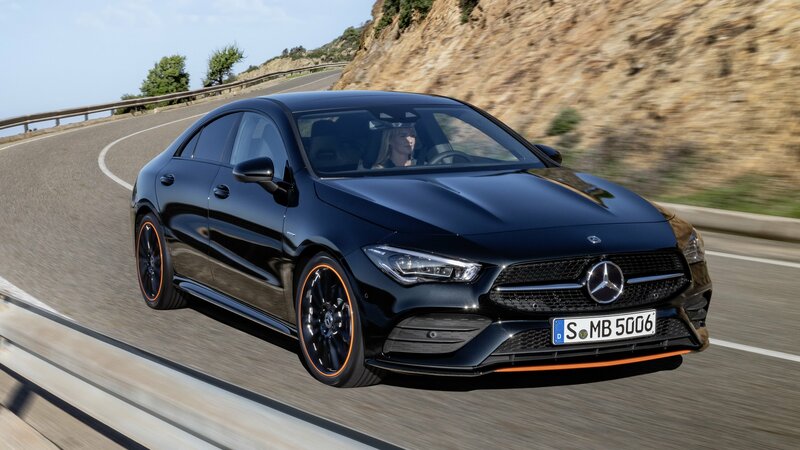 The second-generation Mercedes-Benz CLA was unveiled at 2019 Consumer Electronics Show.The revised four-door coupe replaces the highly successful first-generation CLA, introduced all the way back in 2013. Just like its predecessor, the 2020 CLA competes in a very tight niche that only includes the Audi A3 Sedan. However, the 2020 CLA may have what it takes to compete against the slightly larger 2019 BMW 3 Series. Based on the same platform that underpins the latest A-Class hatchback and sedan models, the CLA boasts a notable design inside and out. 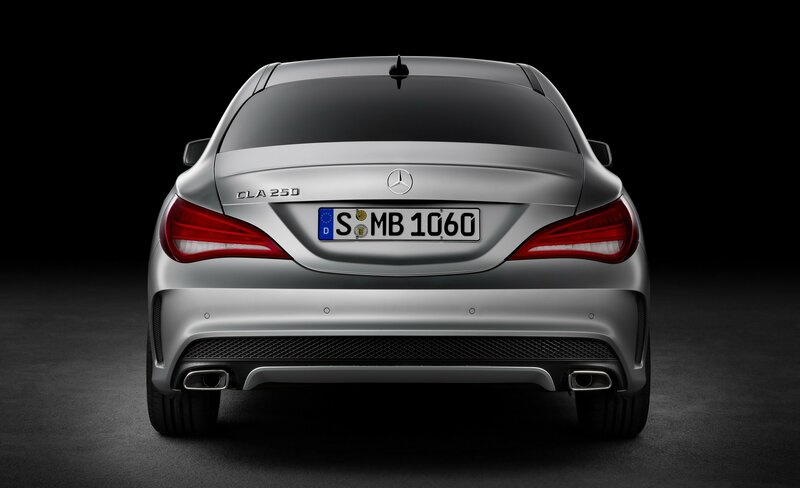 It combines features seen on the A-Class and CLS on the outside, while the interior comes from the smaller of the two. Like most recently unveiled Mercs, the CLA features all the cool technology found in the bigger E-Class and S-Class models, including the semi-autonomous driving system. This places the CLA at the top of its class tech-wise. Let’s find out more about that in the review below. These days, having the right infotainment and onboard technology is critical to new car sales, as evidenced by the huge number of automakers present at the Consumer Electronics Show this year. The latest comes from Toyota and Lexus, which just announced it would equip “select” models with advanced feature control courtesy of Amazon Alexa. For those of you who may be unaware, Amazon Alexa is the online retain giant’s personal digital assistant. First used in the Amazon Echo, Alexa is able to provide a host of services via voice command, including music playback, the creation of to-do lists, alarm setting, real-time traffic status, and news. If properly integrated with devices and systems at home, Alexa can also perform other tasks, such as adjusting the temperature settings for the heater and A/C. In total, Amazon Alexa can connect to “thousands” of things for added digital convenience. As for in-car features, Alexa can handle all the basics, such as remote door lock and unlock, as well as remote engine start and basic smartphone operation. 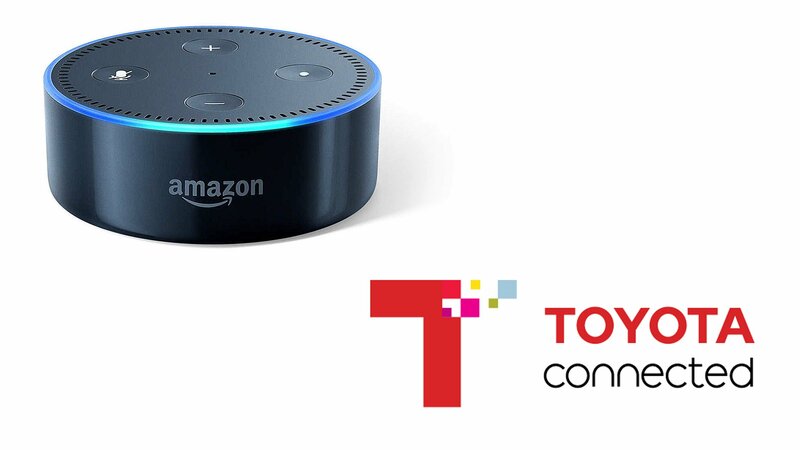 Starting this year, Amazon Alexa will be included with new Toyota vehicles equipped with the Entune 3.0 App Suite, as well as new Lexus vehicles equipped with the Enform App Suite 2.0. Toyota says the lineup of Alexa-equipped models will expand in 2019. Meanwhile, Apple CarPlay and Android Auto are still not included in Toyota’s lineup, which is a bit of a head-scratcher considering the platforms are two of the most popular smartphone support systems for modern passenger cars today. It’s great that Toyota and Lexus are stepping up their connectivity game, but with competitors flocking to Android and Apple, we can’t help but wonder how far Alexa will actually carry the brand in terms of winning over consumers. In case it isn’t obvious by now, the Consumer Electronics Show attracted just about every automaker that has a vested interest in future mobility. Honda was in attendance at the event, where it announced plans through Honda Xcelerator to bring together a consortium of tech startups with the goal of developing new technologies that are geared towards future mobility. Included in this list of startups are BRAIQ, DeepMap, DynaOptics, EXO Technologies, Tactual Labs, and WayRay. Each of the six startups brings something different to the table. 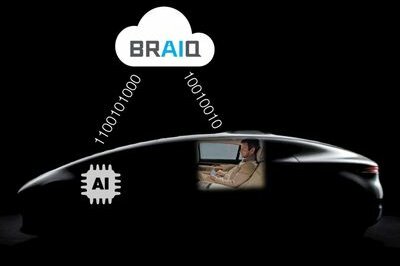 BRAIQ, for example, is a company that focuses on developing technologies for the autonomous vehicle space, specifically through the collection of biometric information that it can analyze to add what it describes as a “layer of emotional intelligence on top of artificial intelligence.” Honda’s goal in partnering with BRAIQ is to one day personalise its own Adaptive Cruise Control system to improve trust in autonomous driving technology. For its part, DynaOptics’ service revolves around state-of-the-art optic lenses. The Singapore-based startup is known for its free-form optic lenses that work better than traditional lenses in certain specifications. Honda’s tapping into that ability to improve its own light-to-camera sensors. California, and it provides high-definition (HD) maps and real-time localization as a service to autonomous vehicles. 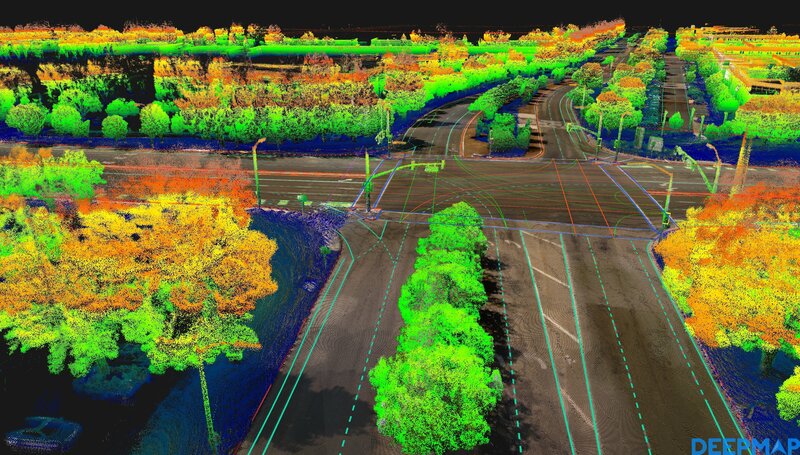 As it is, the company is building a cloud-based, scalable platform that can create 3D HD maps for autonomous cars equipped with Level 4 and Level 5 autonomy. Meanwhile, Israel-based EXO Technologies provides its own brand of GPS solutions that focus on improving in-car navigation among autonomous vehicles. These two partnerships fall in line with Honda’s plan to take its GPS service to a level that can be used by autonomous vehicles. Another startup, Tactual Labs, has been brought into the fold by Honda because of the startup’s PRISMä technology. 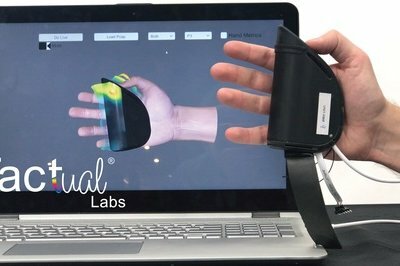 This tech feature is capable of wrapping a free-form object in accurate in-air, skeletal, and contact sensing and construct the human hand and body in 3D. Honda’s collaboration with the Toronto-based company is tied into its plan to create a new and smarter user interface that can provide drivers increased functionality while inside their cars or aboard their motorcycles. 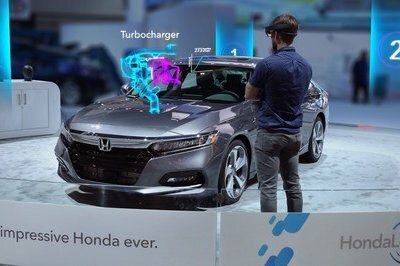 Then there’s WayRay, a Swiss developer of a holographic augmented reality (AR) navigation system for cars, giving us an idea of Honda Xcelerator’s plans with this partnership. One of WayRay’s calling cards is its Holographic AR, a display device that can turn a car’s windshield into a window of information that’s capable of displaying multicolored virtual objects. The tech is compact in size, but it is capable of creating a fully-featured, non-wearable augmented reality infotainment system that can serve multiple functions, including detection of road obstacles and pedestrians, displaying points of interest, or alerting the driver to hazards. In other words, Honda wants to go Minority Report on all of us. The growing partnership between the auto industry and Silicon Valley took center stage at the Consumer Electronics Show. One example that can be gleaned from these collaborations is the tie-up between Hyundai and Cisco. Together, the two companies revealed a new technology platform that brings 1 Gbps worth of Ethernet connectivity inside our cars. The technology sounds appealing for kids who will have no shortage of bandwidth to use inside a car, but the more important purpose of the tech is to allow automakers like Hyundai to load web-capable sensors and gadgetry in the name of accelerating the growth towards full-fledged autonomy. The relationship between in-car Ethernet access and autonomous driving technology can be broken down into two things: sensors and apps. Car companies like Hyundai that are pushing forward in developing autonomous driving technology will need sensors in their cars to act as catalysts for the tech functions they’re going to put into the vehicles. These sensors are in charge of a variety of things, including scanning surroundings, recognizing traffic conditions, and watching for debris and pedestrians. The sensors then relay what they see to the myriad of autonomous driving features that a specific car could have in the future. 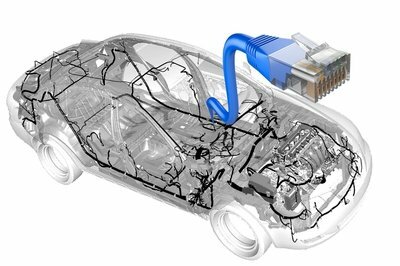 As more of these features become available, the need for cars to carry Ethernet-based software becomes more important. Apps come into the picture because they can have access to these sensors, at least if there’s a technology available for it. Automakers can create specific apps for specific purposes tied into autonomous driving tech, and accessing these apps from inside a car will require a lot of data and a network that’s big enough to handle that load without breaking down. This is what Hyundai and Cisco are bringing to the table. The latter’s expertise with computer networks helps validate the proprietary technology, something that Hyundai is expected to use for its production vehicles in the near future. Ruba Borno, Cisco’s vice president of growth initiatives and chief of staff to the CEO, believes that the company’s partnership with Hyundai will “accelerate innovation” in the auto industry. “By creating a flexible, scalable, and secure platform, we are allowing automotive companies to deliver better cars – faster”, she added. Hyundai has not given details on which of its models will get first dibs on Cisco’s 1Gbps Ethernet networks, but it did say that the technology will be available in 2019 models of its premium lineup. In the continuing quest to develop alternative sources of power, Honda took to the 2018 Consumer Electronics Show to unveil the Mobile Power Pack, a portable, swappable, and rechargeable battery that users can use to power digital devices, home appliances, emergencies, and electric mobility vehicles like motorcycles and scooters. The Mobile Power Pack is essentially an oversized powerbank that carries an output of at least 1kWh, enough juice to serve a myriad of purposes. The Mobile Power Pack is small in size, but it could create a large impact in the world, specifically in its potential to become a go-to power source in a number of situations. Honda says that two of these packs are powerful enough to get an electric motorcycle running. In most instances, though, one pack is enough to use for traveling, making it very useful for those who travel with a whole cavalcade of laptops and mobile devices. Portable Concept isn’t your cup of tea, you can opt for the Expandable Concept of the same product, which can be used on its own as a power source inside a house. Proving that Honda really thought this technology through, it also unveiled the Mobile Power Pack Exchanger Concept, a different type of charging station that can charge multiple units of the Mobile Power Pack at once, while also supplying replacement packs for customers. The idea behind the Exchanger Concept is that if your Power Pack runs out of juice, you can go to a charging station and swap it for a fully charged unit. 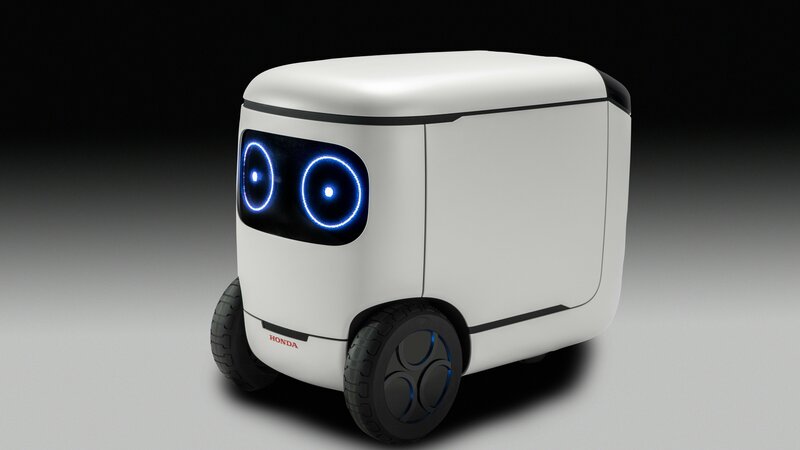 Honda has pulled the covers off of four robot concepts at the 2018 Consumer Electronics Show. Collective called the 3E Robotics Concepts, the small prototypes are more than just novelty items that Honda cooked up for our collective pleasures; they were created to give us a taste of what the future could look like with these robots by our sides to improve our daily lives in different ways. Three of these concepts are making their world debuts at CES. One of them, 3E-C18, made its debut at the 2017 Tokyo Motor Show last October. The robot concepts represent three different ideologies that Honda subscribed to in creating them. The first of these ideologies is “Empower,” which focuses on a future where humans and robots can leverage each other’s strengths. It’s no wonder that Honda’s creation in this regard is 3E-D18, an autonomous off-road robot that uses artificial intelligence to help people accomplish a broad range of tasks, including as a helpful ally in agriculture, construction, and search and rescue operations. 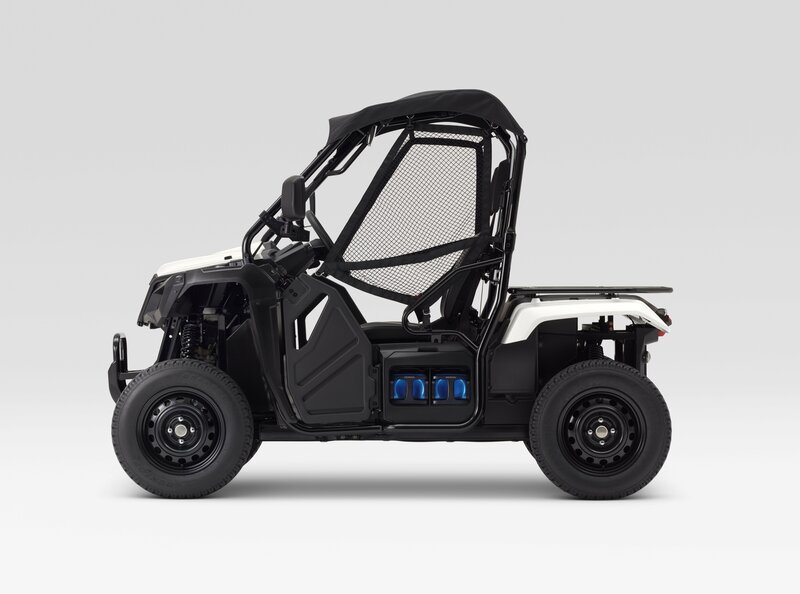 Functionally, 3E-D18 is based on a Honda ATV chassis so it’s as tough as it gets. It comes with four-wheel drive, has GPS and sensor-based autonomy, and has airless tires that allow it to smoothly run on rough road surfaces. 3E-D18 is joined by 3E-B18 under the Empower category. Unlike the rough and rugged 3E-D18, 3E-B18 looks like a futuristic version of the Segway. It does have more a functional side attached to it, including the ability to act as a stroller, a baggage cart, and as a personal ride. It even has a height-adjustable seating and is small enough to navigate tight spaces. Falling under the “Experience” ideology is 3E-C18, the robotic concept that looks like a cooler with a face on it. Don’t be deceived by its looks, though, because 3E-C18 serves a variety of important functions, most notably as a mobile, AI-enabled platform that can help people from all walks of life. The concept also has the ability to learn through its AI platform and absorb what it learns to dictate how it operates autonomously. On the physical side, 3E-C18 also has carrying spaces and a canopy, not to mention a vehicle body base with a driving function in it. The last of the four concepts is arguably the most important one. It’s called 3E-A18, and it’s a robot concept that actually carries emotions with it. There’s a reason why it was classified under the “Empathy” ideology. Like the other concepts, 3E-A18 comes with AI application. Unlike the other concepts, 3E-A18 was developed specifically to be a personal companion. It has the ability to provide support for human activities, act as a guide in places like malls and airports, and communicate with people in certain situations. Physically, 3E-A18 is designed with a soft exterior skin to complement its range of facial expressions. The Fisker eMotion’s debut at the Consumer Electronics Show caught a few people by surprise. The debut itself was expected, but the features in the car were more than what most people thought they’d be. The eMotion’s interior is a good example of that. In a word, it’s beautiful. 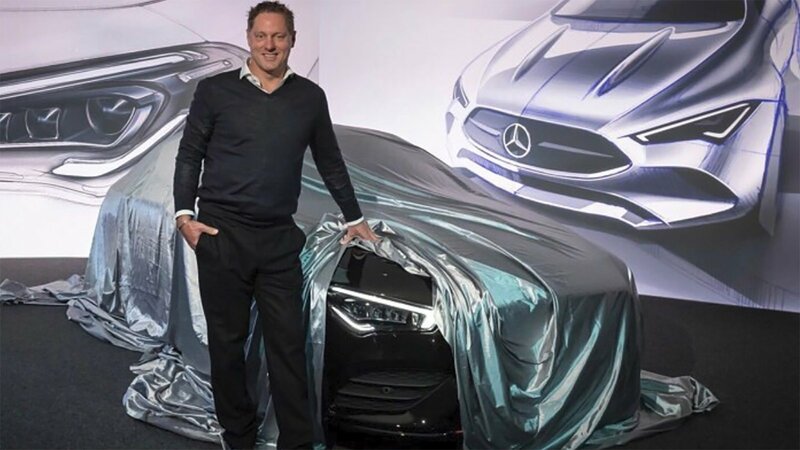 That doesn’t come as a shock to those who know Henrik Fisker’s work, but in some ways, the legendary auto designer seems to have outdone himself this time. 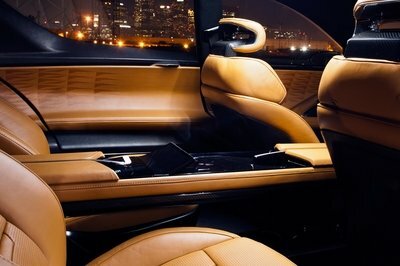 I’ll start with the interior color, which shows itself in heavy doses of Caramel and Midnight Black. These are solid color choices to complement the Sapphire Red exterior. A majority of the eMotion’s interior is covered in ultra-soft premium leather. You can see it by how many wrinkles the leather surfaces already have. Some folks may not like the sight of wrinkled leather, but it’s also a sign that the material is authentic. 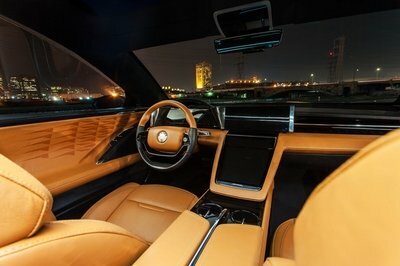 If leather isn’t your thing, Fisker is also offering a vegan option, a first in the auto industry. The eMotion comes with four individual, electric adjustable first-class seats. There is an option, though, to remove the two rear seats and replace it with a rear bench-style seat. The cabin also has inductive charging ports and special holders for as many as four smartphones. 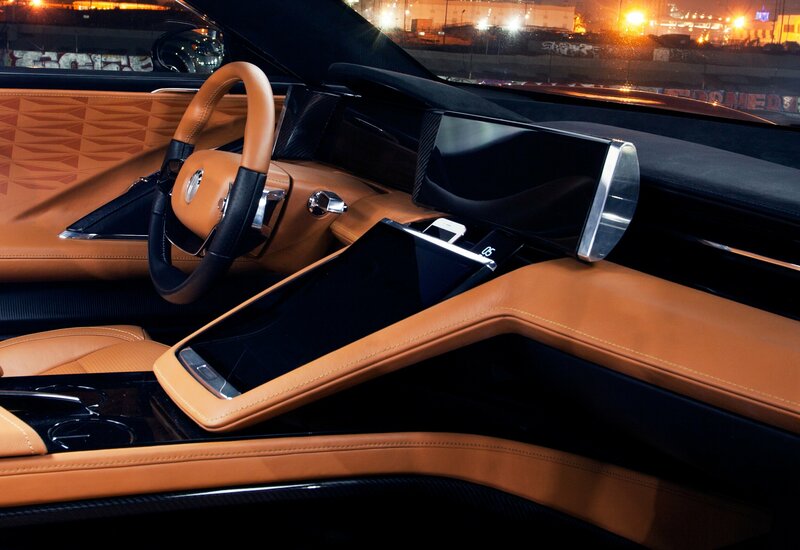 The leather-covered dashboard makes space for a carbon fiber center console and extra storage space that can house tablets and other accessories. All these design elements seamlessly combine premium materials with modern design touches. Put them all together, and they make for a sublime interior package. Just as important, the eMotion’s interior isn’t lacking in technology. There are three driver-oriented screens, including a center curved screen. The automaker is also offering a 27-inch curved rear screen in case those sitting at a back would want one of their own. This screen is included in the “Chauffer Edition” of the electric car. Then there’s the four-zone electric adjustable tinted roof. 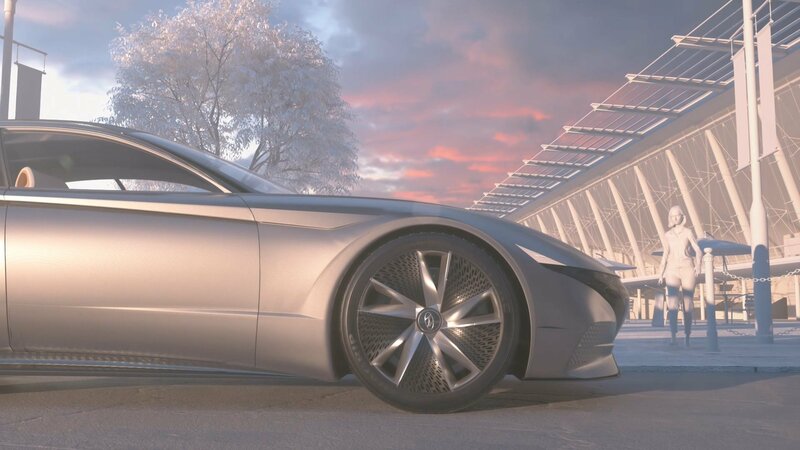 It’s made from Electrochromic Glass that Fisker developed in collaboration with Lipik, a company best known for developing state-of-the-art glasses for the auto industry. 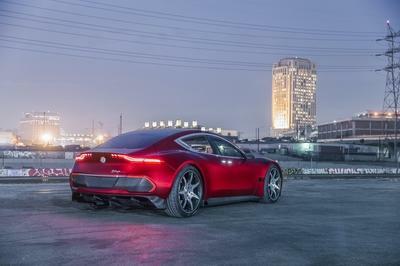 The Fisker eMotion has officially spread its wings at the Consumer Electronics Show. Henrik Fisker’s latest pièce de résistance is every bit the car we expected it to be. It’s sharp as a tack, has aero bits for days, and carries what can only be described as one of the funkiest door configurations of any car we’ve seen in recent memory. If you thought the Tesla Model X’s falcon doors were treats for the senses, prepare yourselves for what the eMotion has to offer. The Fisker eMotion is a tremendous return to form for Henrik Fisker. Aesthetically, it looks like a proper sports car. It measures five meters (16.4 feet) long and 1.48 meters (4.8 feet) high. 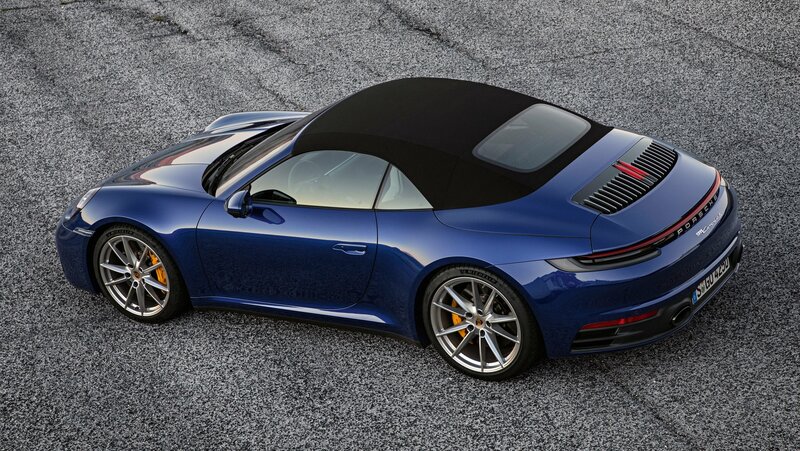 That makes it slightly longer and taller than the Porsche 911 Turbo, which comes in at 4.5 meters long (14.7 feet) and 1.29 meters (4.25 feet) high. Carbon fiber and lightweight aluminum were used in building the car’s body panels. The panels themselves make up a significant part of the car’s aerodynamic features. The front spoiler, side rocker panels, and rear diffuser are all prominently seen in the design of the eMotion. 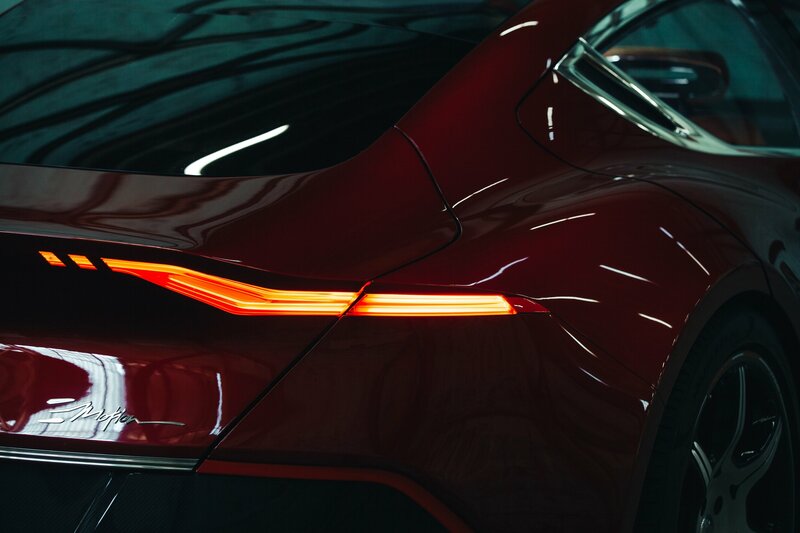 The new electric car is provocative to look at, but the doors are the real highlight of the exterior. We’ve seen two-door models use butterfly doors before, but we’ve never seen a four-door model use a similar configuration. 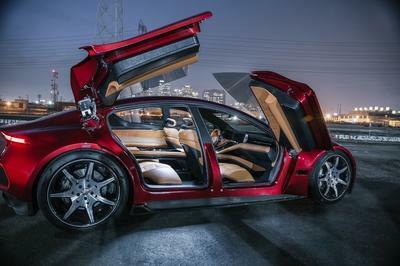 Fisker takes it to that level by giving the eMotion two butterfly doors in the front and two falcon doors in the back. Throw in the set of 24-inch low-rolling resistant Pirelli tires, and you’re looking at a car whose design can only come from the mind of Henrik Fisker. 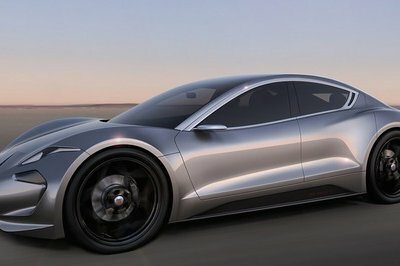 On the performance end, the Fisker eMotion is tipped to have a top speed of 161 mph to go with an EV range of “more than” 400 miles. 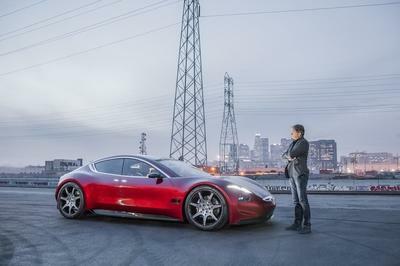 No details were given on the car’s EV powertrain, but Fisker did say that the eMotion will feature five Integrated Quanergy LIDARs that has the capability to achieve Level 4 autonomous driving. This system is made up of S3 solid-state LiDar Sensors that are integrated into different sections of the car, including one integrated behind the front wheel and another hidden in the lower rear rocker panel. Hackett begins his post by talking about all the good things cars have brought us over the last 100 years. “It spawned new industries, thousands of new companies, and drove generations of personal and economic growth,” he writes. But we all know how the story ends, don’t we? In no time at all, the car took over, eventually creating the highway-infested cities we know today. And although the system to handle all these autos hasn’t changed all that much over the years, the sheer glut of folks on the road these days has created new challenges. Hackett is correct in calling this a growing problem. The modern transportation systems we rely on for food, goods, and personal transport is very quickly finding its limits, and a solution is needed before we end up in terminal gridlock. Hackett calls it a quality of life issue. I think it’s more than that, and would go so far as to say that between the effects of emissions on the environment and the importance of efficient ground transport to the global economy, finding a workable solution is indispensable to civilization as a whole. You can read the entire post for yourself at the link below, but briefly, Hackett identifies several possible paths forward. 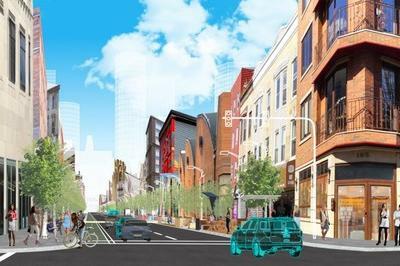 These include new implementation of the sharing economy, artificial intelligence and autonomous vehicles, connected vehicles, and smart city design. While Hackett has his own ideas on how these technologies would be best implemented, we’ll elaborate and toss in our own ideas as well. For starters, the sharing economy would open up new ownership models, creating opportunities for more people to enjoy the luxury of cars while simultaneously opening up additional space inside the city. After all, if a car is in use rather than sitting parked, that’s extra space, isn’t it? However, the really big jump in efficiency won’t come until autonomous systems take off in a big way. With the robots taking the wheel, the sharing economy around autos can really properly manifest, offering personal transport (much like calling Lyft or Uber) but at reduced cost. What’s more, self-driving cars will be able to more efficiently use the energy on tap (be it gasoline, electricity, or hydrogen) by applying a constant throttle and running close to the car ahead without fear of rear-ending someone. Autonomous cars really will give us a giant leap forward in efficiency thanks to the algorithms in play. alternate routes through congested areas and plugging into a larger grid for maximum efficiency. Throw in some smart city planning to help accommodate all these systems, and there really is some light at the end of the tunnel. 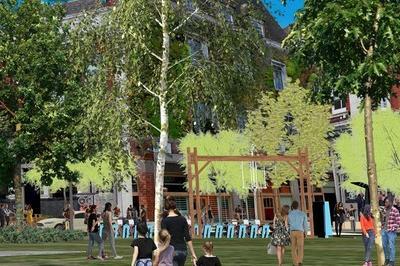 And while no one loves sitting in traffic, I have a feeling the true impact of mass urban dwelling has yet to manifest. Now is the time to get prepared for that, as the problem isn’t going away any time soon. It’s only gonna get worse.